Nothing says spring like the first sightings of new potatoes in supermarkets and greengrocers. 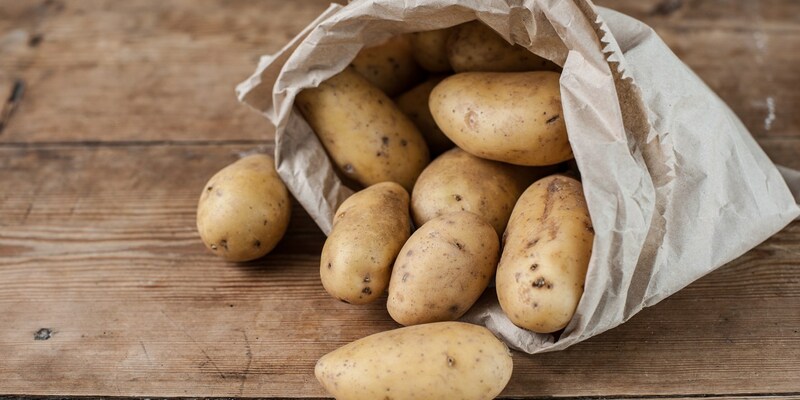 Of all potato varieties, these are surely the most al fresco friendly, and just one glimpse of their small, round form conjures visions of barbecues, picnics and garden parties. Explore the understated magnificence of this humble first crop in our collection of new potato recipes. The delicate size and taste of new potatoes make them the perfect foundation for a potato salad recipe – Karen Burns Booth adds a touch of luxury to her potato salad with a drizzle of truffle oil, while Marcello Tully elevates his to a meal in itself, serving a Hot smoked salmon potato salad with horseradish dressing. José Pizarro uses new potatoes in his seafood tapas recipe, while Adam Gray uses crushed new potatoes as a base for his pan-fried fish recipe.